Ship?s Particulars: Date of built: 1909 GRT: 4028 LOA: 119,80 Mts. B: 14,90 Mts. D: 7,80 Mts. 1 x 3 cyl. triple expansion engine, single shaft, 1 screw power: 434 n.h.p. speed: 10 Knots Ship's Owners: As SS Nippon 1909 - 1936 Svenska Ostasiatiska Kompaniet A/B, G?teborg (Gothenburg) As Wirta 1936 - 1941 Wihuri A. (Finland) Ship's Yard: Hawthorn Leslie & Co. Ltd. - R & W Hawthorn, Hebburn-On-Tyne (Newcastle). Hull N? : 426 This Swedish cargo steam ship, the SS Nippon, headed for Hong Kong from Manila was wrecked on Scarborough shoal due to a typhoon in 1913. Philippine maritime authorities, under the American colonial government, exercised jurisdiction over the shoal when they rescued the crew, salvaged the cargo, and conducted an investigation into the incident. The SS Nippon?s cargo became the subject of a civil case between the ship owners and salvors that went all the way up to the Supreme Court which discussed the details of the incident elicited from ship-owners, cargo owners, salvors, and insurance companies. ?The facts narrated, as well as the case itself, demonstrates the free and absolute exercise of governmental powers by the Philippines, as well as the application of Philippine law to activities taking place on the shoal,? Batongbacal said. The US Commonwealth Government, in 1937, considered the shoal as a part of the Philippines after considerable research if there were other claimants. ?All throughout the Commonwealth Period, the Philippine Government had always considered Scarborough Shoal under its exclusive sphere of influence, marking it prominently in maps of the Commonwealth and continuously exercising particularly maritime jurisdiction over the shoal,? Batongbacal said. 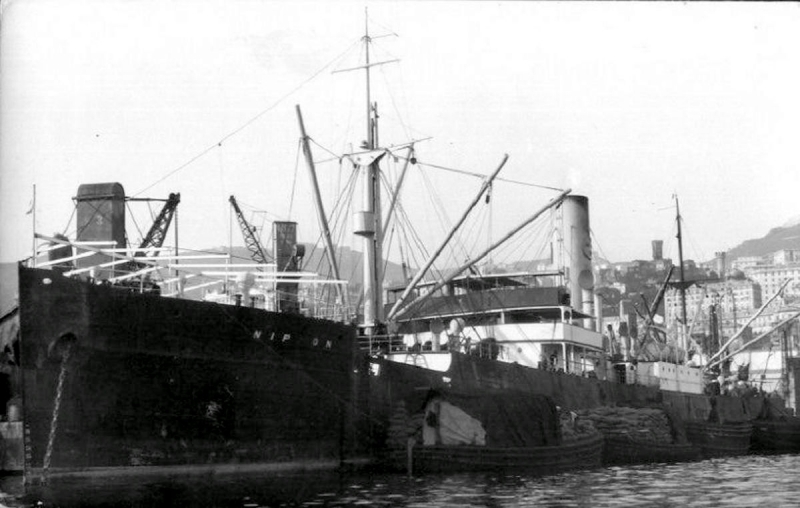 Fate: SS Wirta ran aground and was wrecked at Skjerjafjord, Iceland when on a voyage from Baltimore for Petsamo. She was built in 1909 for the Swedish East Asiatic Line (D Brostrom, manager) and called SS Nippon. She was sold in 1936 to Wappu O/Y (Antti Wihuri, manager), Brando, Finland and renamed SS WIRTA. Il y a au total 218798 images avec 139936 commentaires - Usagers enregistrés 5750.